Daryl Meek is an award winning photographer whose images have been used by national and regional news media, tourism web sites and many different print and online outlets. 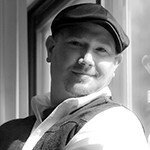 Based in Central New Jersey, his primary focus is on real estate, portraiture and event photography. Usually working at customer selected locations, Daryl feels his best portrait work is handled outside of the studio environment, where people tend to be more relaxed and natural. Daryl shoots strictly digital using Canon equipment. Want to connect with Digital Artscape?